Steam is the most popular digital distribution platform for PC games with millions of active users. Unfortunately, some of these users have reported that Steam games fail to launch on Windows 10, so is there anything that you can do in order to fix this problem? Users report that they are unable to play any game on Steam, and some of them have reported missing executable error. This is a big problem since you won’t be able to access any of the Steam games that you bought, but there are few things that you can do to fix this issue. Steam games aren’t launching – This is a common problem and it’s usually attributed to your antivirus software. Simply add Steam to the list of exceptions and check if that helps. 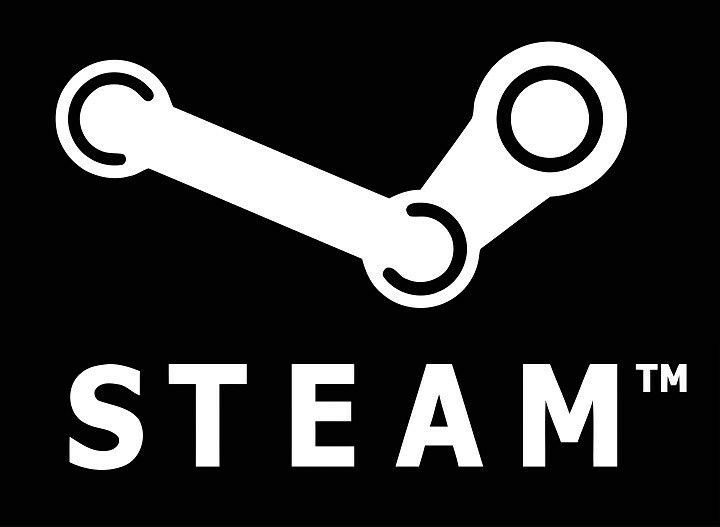 Steam won’t launch any games – Another relatively common problem with Steam. If you can’t run any games, the issue might be related to third-party applications on your PC. Simply remove the problematic applications and the problem should be resolved. Steam Preparing to launch loop – Sometimes you might get stuck with Preparing to launch message while trying to run Steam games. If this happens, be sure to install the required Visual C++ components. Steam game failed to launch error code 80 – Sometimes errors can appear while trying to run certain games. If that happens, update your graphics card drivers and check if that helps. Steam game failed to start missing executable – This problem can occur if your game files are damaged. To fix the problem, verify the integrity of game cache and try to run the game again. Steam game says running but won’t open – According to users, sometimes the games might not open at all. However, you should be able to fix this problem by using the solutions from this article. Go to your game library and find the smallest game that you have installed and right click it. Go to the Local tab and click on Browse local files. 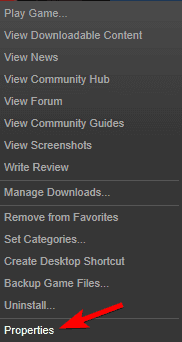 If the game directory opens you need to move all your installed games to one folder above it and that should fix this issue. If the game folder can’t be opened you need to verify the integrity of the game cache. This will redownload the game to a new location. Now repeat steps 2 and 3 in order to find the game directory. Now move all your Steam games to one folder above it and everything should go back to normal. In some cases, Steam games can’t launch due to your antivirus software. To fix that problem, be sure that the game you’re trying to run and the entire Steam directory are added to the list of exclusions in your antivirus. In addition, you can try disabling certain antivirus features or disable the antivirus entirely and check if that helps. In some cases, you might have to completely uninstall your antivirus to fix the problem with Steam games. If removing the antivirus solves the issue, we have to recommend switching to a different antivirus solution. 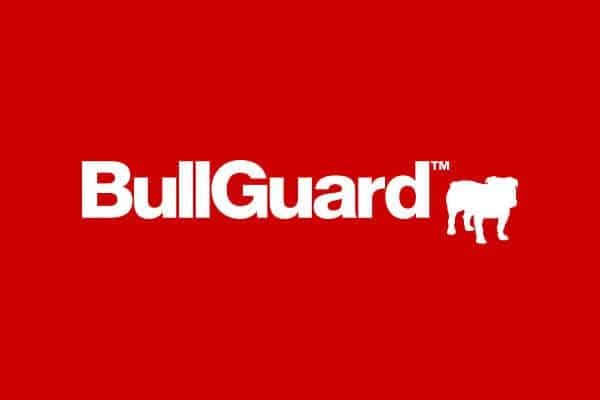 Some antivirus software, such as BullGuard, have a Gaming Mode feature that allows you to run your games without any interference from your antivirus, so be sure to try it. According to users, sometimes certain files can cause issues with Steam games and prevent them from launching. However, you can fix this issue simply by removing a single problematic file. In most cases, the problematic file is GameOverlayRenderer64.dll, and to fix the problem you need to remove it. Alternatively, you can just move the file to a different location and that will achieve the same results. Keep in mind that this is just a workaround, but it works according to users, so be sure to try it out. If Steam games fail to launch on your Windows 10 PC, the issue might be related to third-party applications. Many users claim that Rivatuner Statistics Server was the problem, but the issue was resolved after updating it. In case you don’t know, this application is a part of MSI Afterburner software, and by updating the Afterburner software you’ll update Rivatuner Statistics Server as well. This is a long-term solution, so if you’re having this problem, be sure to try it out. According to users, you might be able to fix this problem simply by updating your graphics card drivers. Your drivers are a key component, and if there are any problems with them, the Steam games might not be able to run. To fix the problem, it’s advised to update your graphics card drivers. 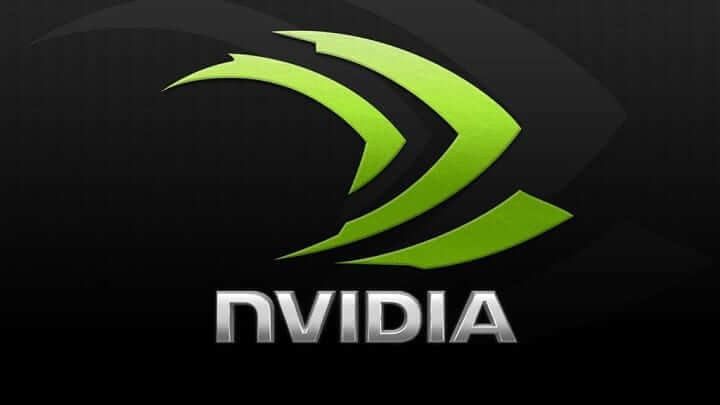 To do that, you need to find the model of your graphics card and download the latest drivers for it from the manufacturer’s website. 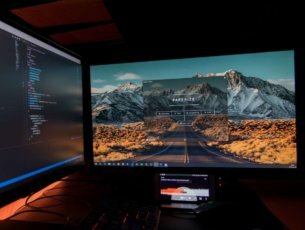 If this seems too complicated, you can always use third-party tools such as TweakBit Driver Updater to update all drivers on your PC automatically. 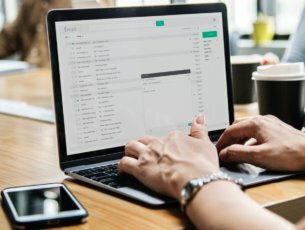 According to users, sometimes third-party applications can cause this and other errors to appear. If you’re having issues with Steam games, the culprit might be a third-party application. Users reported that Razer Synapse caused this issue to appear, and to fix the problem, it’s advised to turn the application off before starting the game. However, you can still use the software if you start it after starting your game. Another application that can cause the problem is Logitech Joystick Utility, so you might have to disable it. In some cases, the only way to fix the problem is to remove the problematic application. There are several ways to do that, and the best one is to use an uninstaller software since it will remove all files and registry entries associated with the problematic application. If you’re looking for a good uninstaller software, we recommend you try IOBit Uninstaller. Once you remove the problematic application with uninstaller software, the issue should be completely resolved. If certain Steam games won’t run, the problem might be the missing Visual C++ components. Most games require Visual C++ Redistributables in order to run, and to fix the problem you need to install the missing Visual C++ components. This is relatively simple to do, and you can do it by going to the game’s installation directory and looking for \_CommonRedist\vcredist\ folder. Once you inside of the vcredist directory you’ll see two setup files. Run them both to install the necessary components. After the necessary components are installed, the game should start without any issues. Open your game library, and locate the problematic game. 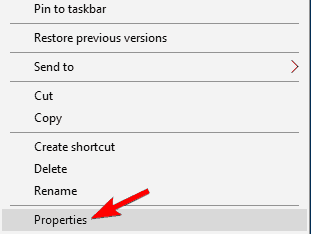 Right-click it and choose Properties from the menu. 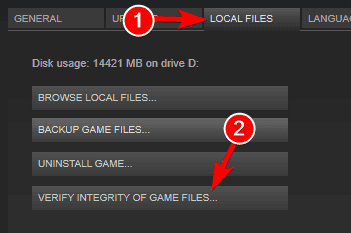 Navigate to Local files tab and click Verify integrity of game files. The verification process will now start. Keep in mind that this can take a bit, so be patient and don’t interrupt the process. After the verification process is finished, try to run the game again. You can fix the problems with certain Steam games simply by running them in Compatibility mode. In case you’re not familiar, by using Compatibility mode you can fix various issues with older games and run them on your PC. Although this feature is intended for older games, it can also work well with newer games as well. Locate the game’s .exe file, right-click it and choose Properties. 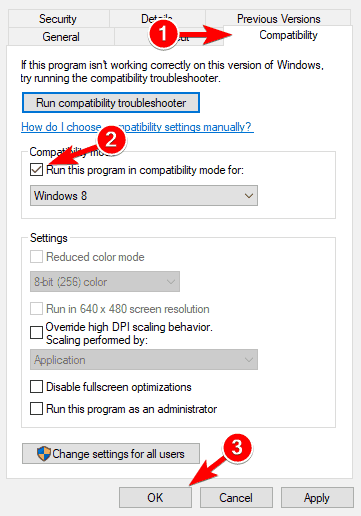 Navigate to the Compatibility tab and check Run this program in compatibility mode for. Select the desired version of Windows and click Apply and OK to save changes. After doing that, try to start the game again and check if the problem is resolved. 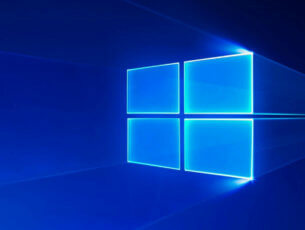 We hope that this solution has been helpful to you, but if you need more information, we have also covered what to do when you’re unable to run Steam games on Windows 10, so make sure that you check it out.